From the Vault: I’m spending today first cleaning and then making pizza for my sister, Thing 2 and Thing 4 so here’s something awesome from the old site. To be fair, I was going to be posting this at some point soon anyway, it’s just too cool not to if I do say so myself. And I do. Heh. 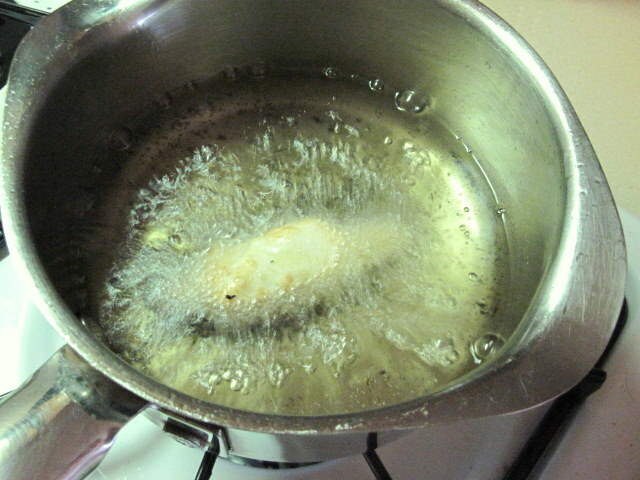 -Beat the egg with the salt and a 1/4 cup water. 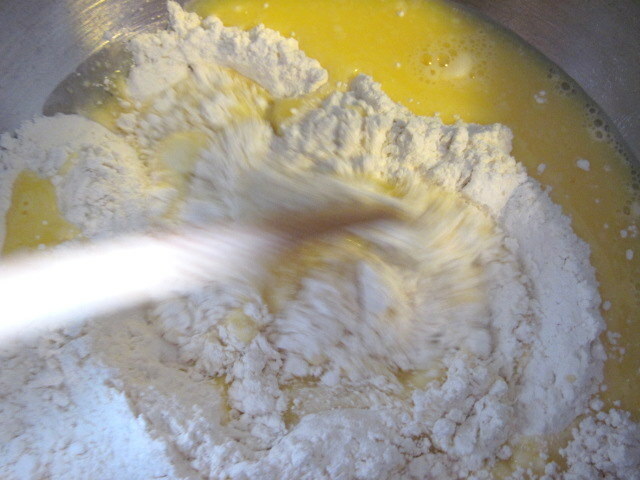 -Put the flour in a mixing bowl, make a well and add the egg and water mixture. -Mix it as much as you can with a spoon. 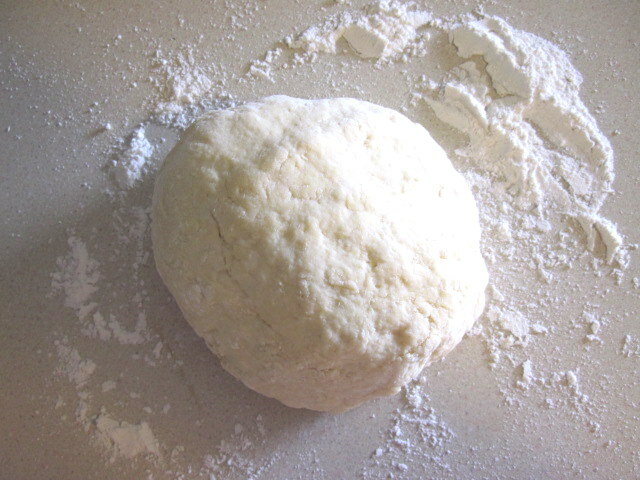 -Add as much water as you need to get a dough. 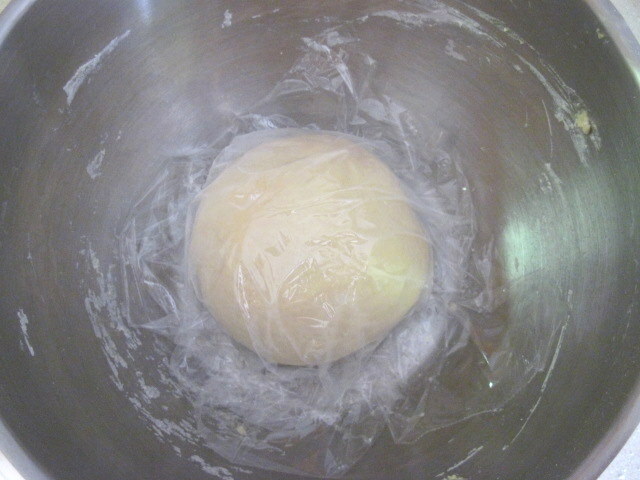 -Knead for a couple minutes, until it forms a smooth, pliable dough. 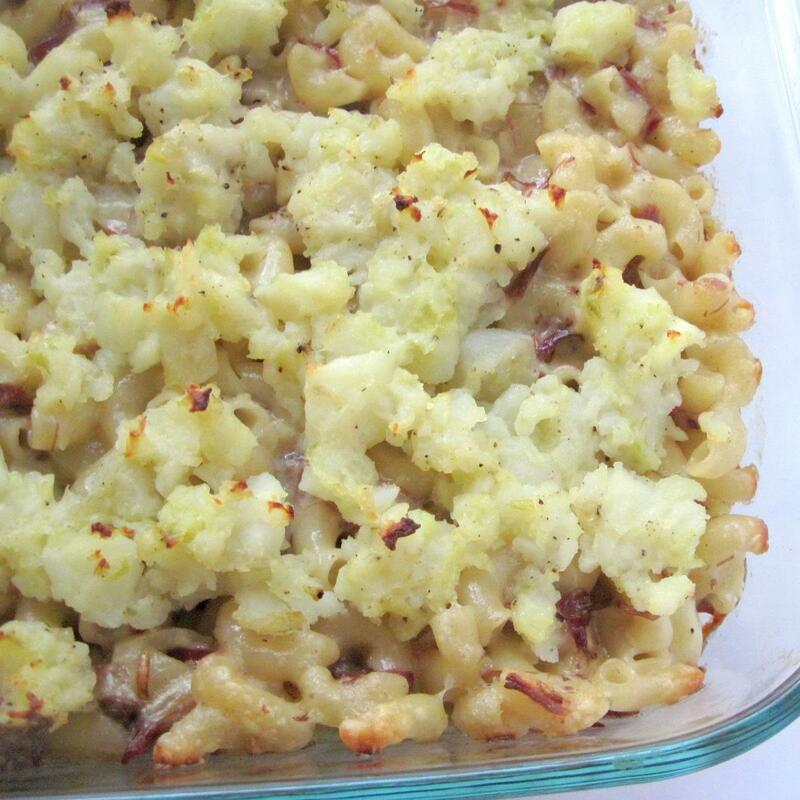 -Cover it with plastic wrap and let it rest for a half hour. 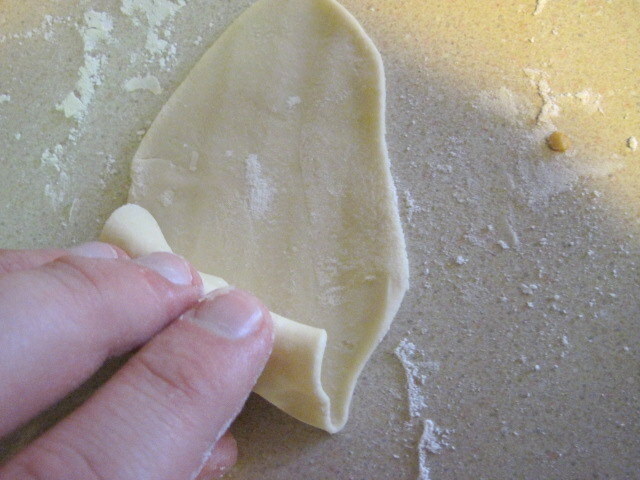 -Roll small (about thumb sized) pieces very thin on a well floured surface or use a pasta machine. -Use it for whatever you wanted wonton wrappers for. Store in a plastic bag in the refrigerator or freezer until ready to use. 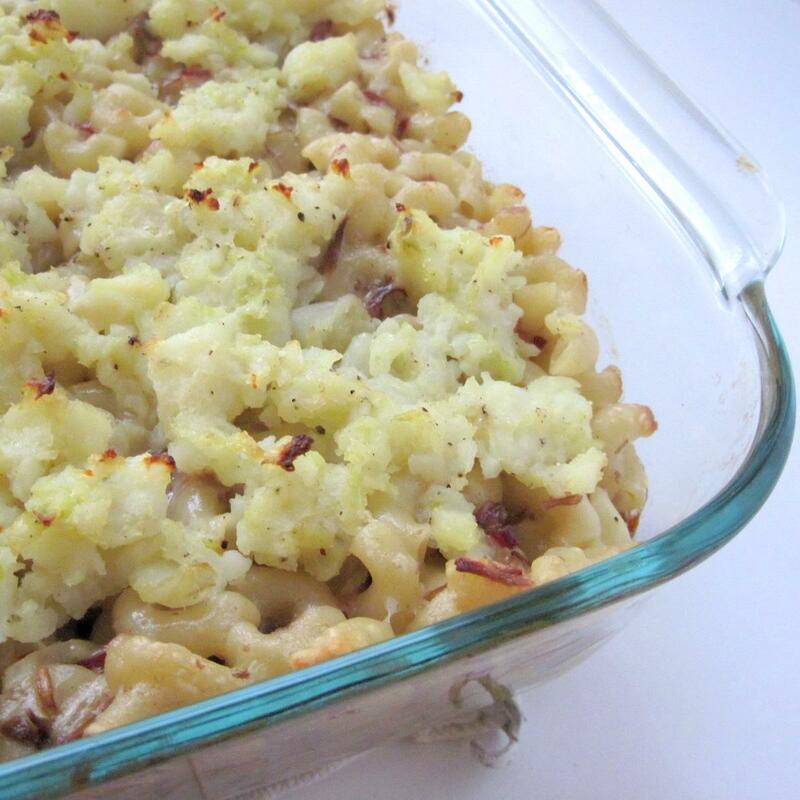 Ok, I know I had said I was going to post about that casserole this week. But I’m wicked excited about making my own wonton wrappers, so it’s getting posted first and that’s just the way it’s going to happen. I decided to make them kind of spur of the moment. My girlfriend is away for a few days, so I’m bored. 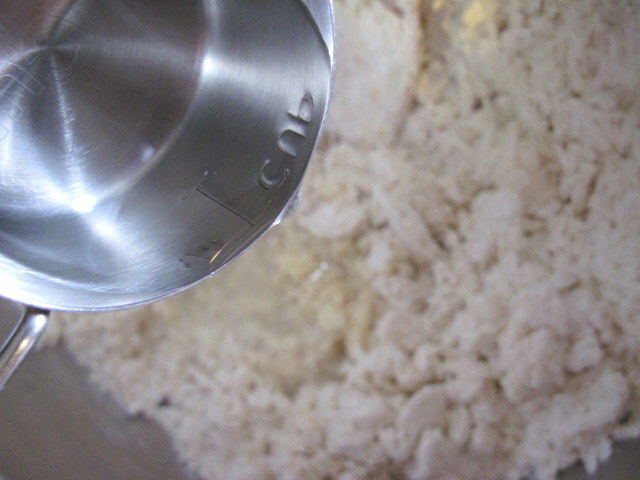 Which usually means I make some kind of bread, since it takes some time. I don’t know if wonton wrappers really count as bread, but the concept is the same. There’s kneading and resting and all that. 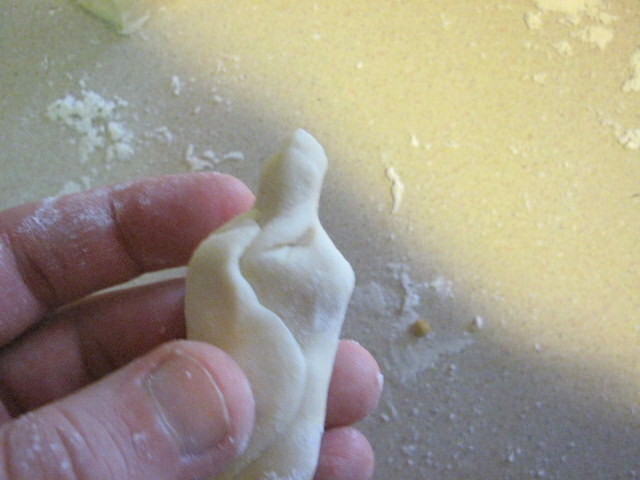 Now, I had always heard that making wonton wrappers was hard, but I didn’t think it was that bad at all. I think the main issue people have is getting them as thin as they want and I’ll admit that’s a problem. But I just let them be a little thick and didn’t worry about it. It made them a bit chewy, but I liked it fine. If you have a pasta machine you can get them really thin, but I don’t have one. They’re one of those things I’d love to have but just don’t really have the room for. 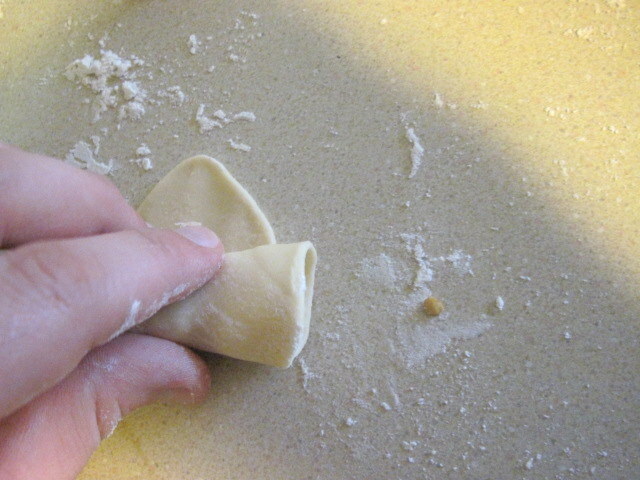 Anyway, rambling aside, wonton wrappers are easy. You should make some. Here’s how. 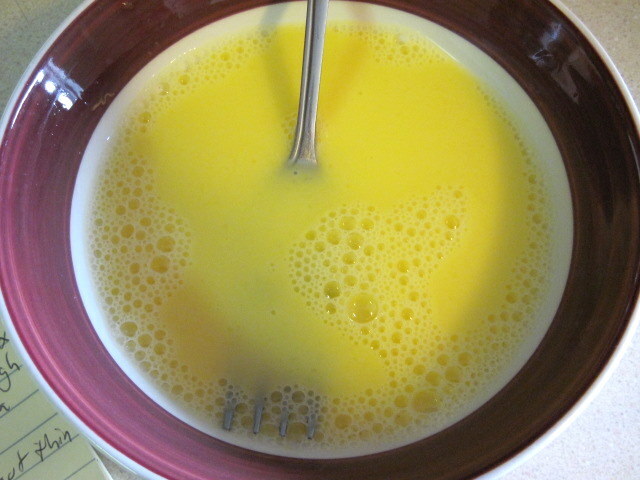 Take an egg, three quarters of a teaspoon of salt and a quarter cup of water and beat them together. 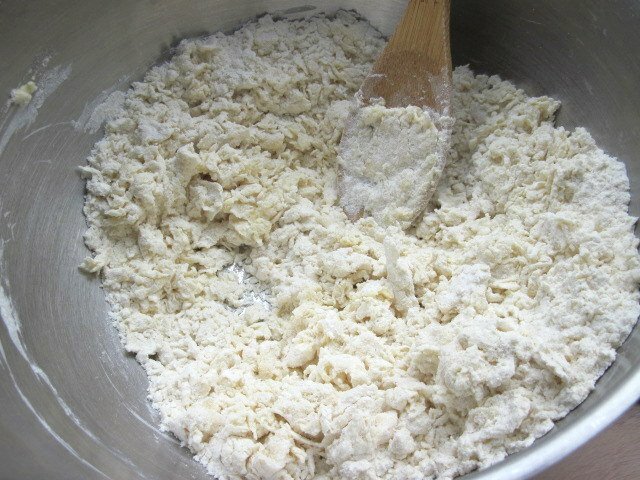 Put two cups of flour into a bowl and make a well in the center. 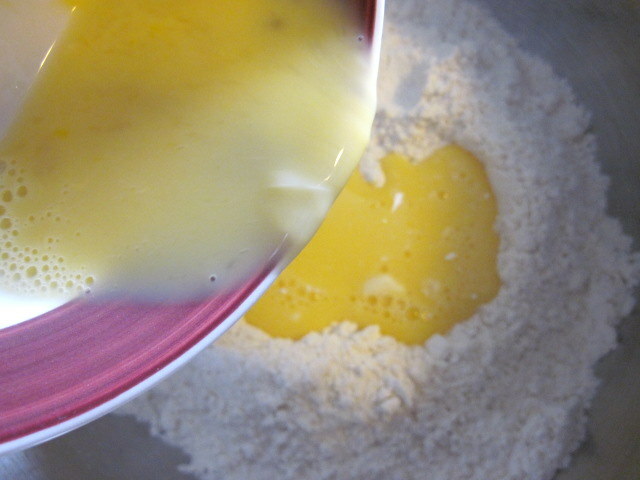 Add the egg mixture and mix it together as well as you can with a spoon. It will look really dry. That’s because it needs more water. I’m sure it’s my keen grasp of these kinds of details that keeps you guys coming back. Heh. I wound up adding almost another quarter of a cup. 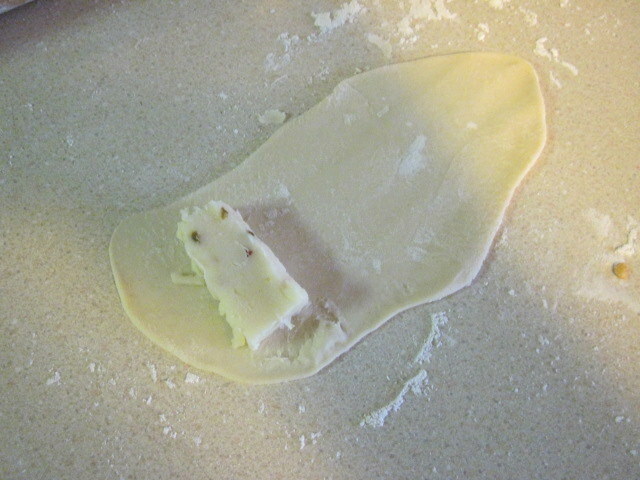 That turned it into a lump of sticky dough. 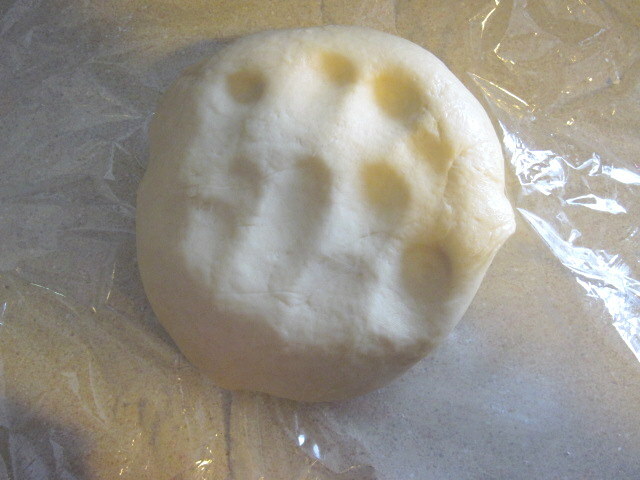 I left it sticky since I would be working more flour into it as I kneaded. Which is what came next. 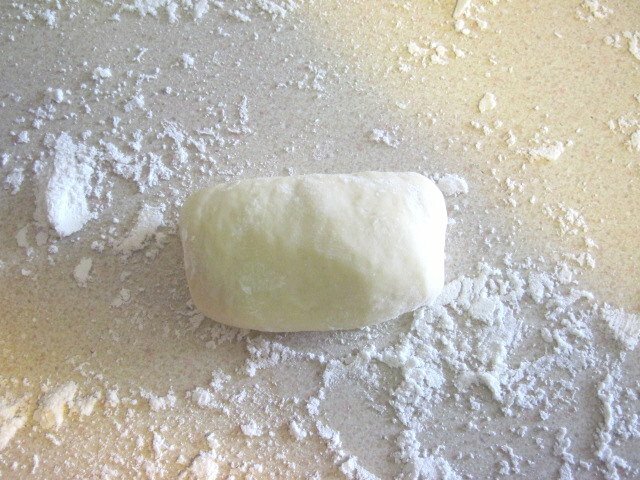 It took a few minutes (maybe as many as five like the recipe called for, but I don’t think quite that long) before it turned into a good, firm, cohesive dough. 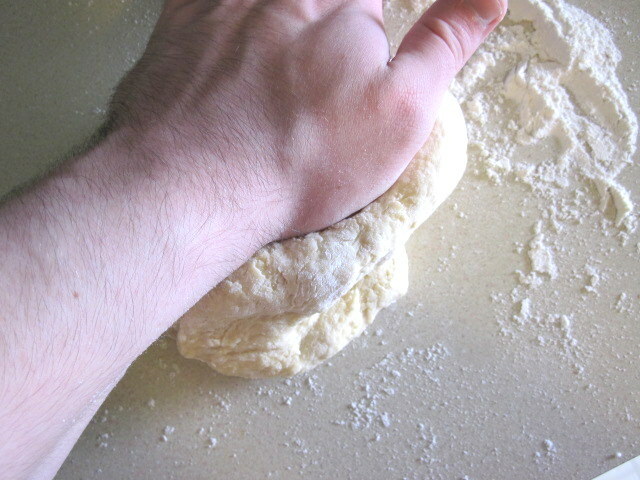 The dough is firmer than bread dough, so it’s a little tougher to knead, but you don’t have to do it for as long. Now you just cover it with plastic wrap and let it rest for a half hour. 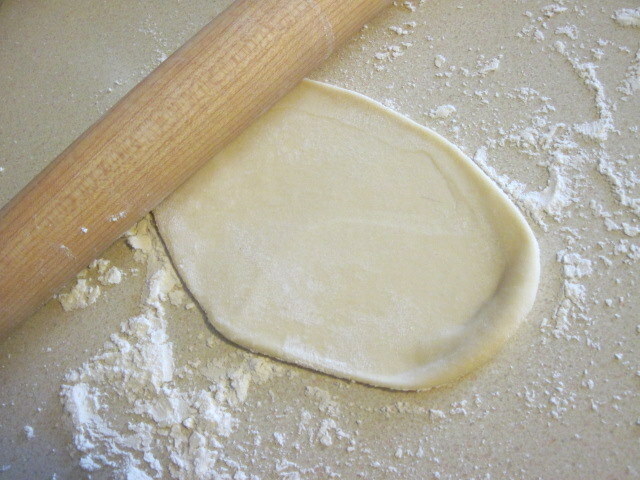 What you get is a soft, pliable but not very elastic dough. This means you can roll it out but it doesn’t snap back much. 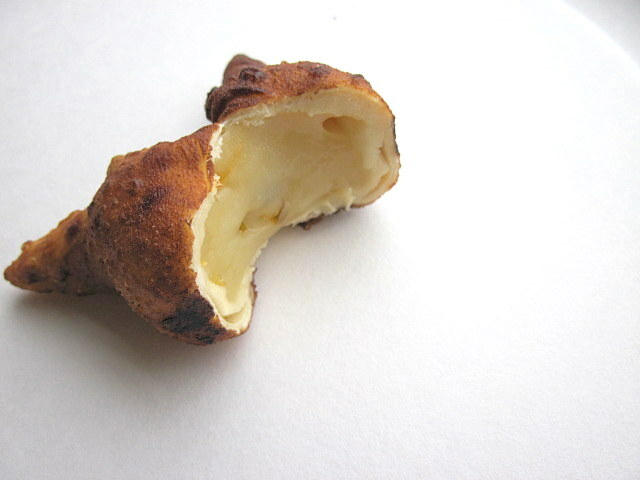 I just cut chunks the size of my thumb off and rolled them out as thin as I felt like. I just barely made this stuff today and the thing I had planned kind of fell through, so I haven’t done too much with it yet. But I did make a little something that I’ll show you. 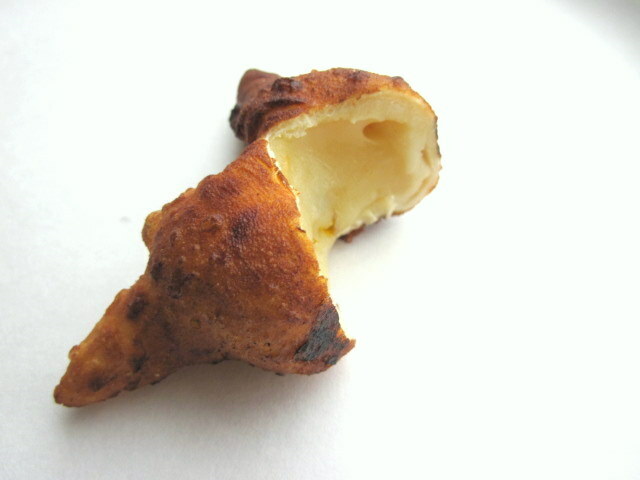 I rolled out a chunk of dough and put a big chunk of pepper jack cheese on it. and twisted the ends like a tootsie roll wrapper. This is the first time I have ever deep fried anything. A little ham and mustard in there would have been nice. 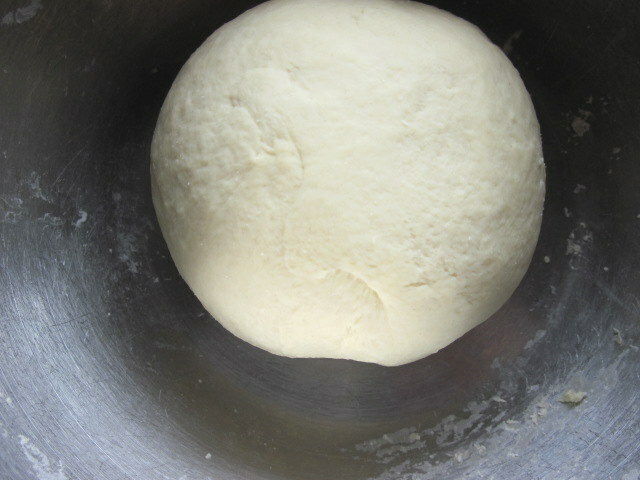 I’m going to do some actual Asian style stuff with the dough too, I just need a little time to get the stuff together. 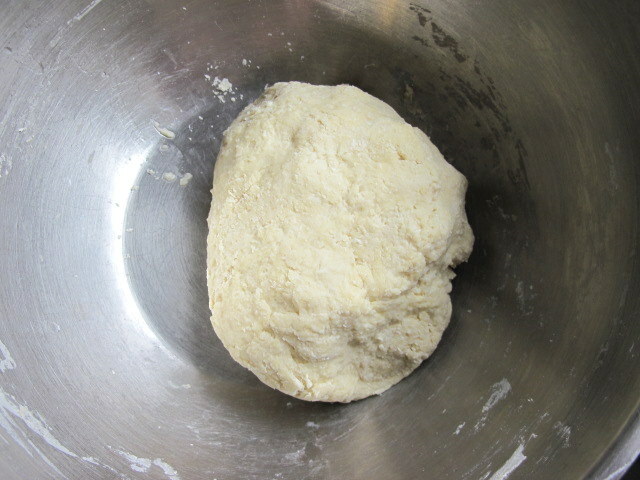 But I still have a bunch of the dough left and several days of only cooking for myself ahead of me. From the Vault: I know, I know, another repost. But not only is there a lot going on this week between birthdays, graduations, teething toddlers and whatnot but I’m also still trying to figure out what the hell is wrong with my stupid computer. So enjoy some pizza! It’s one of the great debates. Like Democrat vs Republican, Coke vs Pepsi, fries vs onion rings, light beer vs good beer. Reuben vs Rachel. I’m guessing most people are familiar with the Reuben, a hot sandwich with corned beef, sauerkraut, Swiss cheese and Russian dressing. 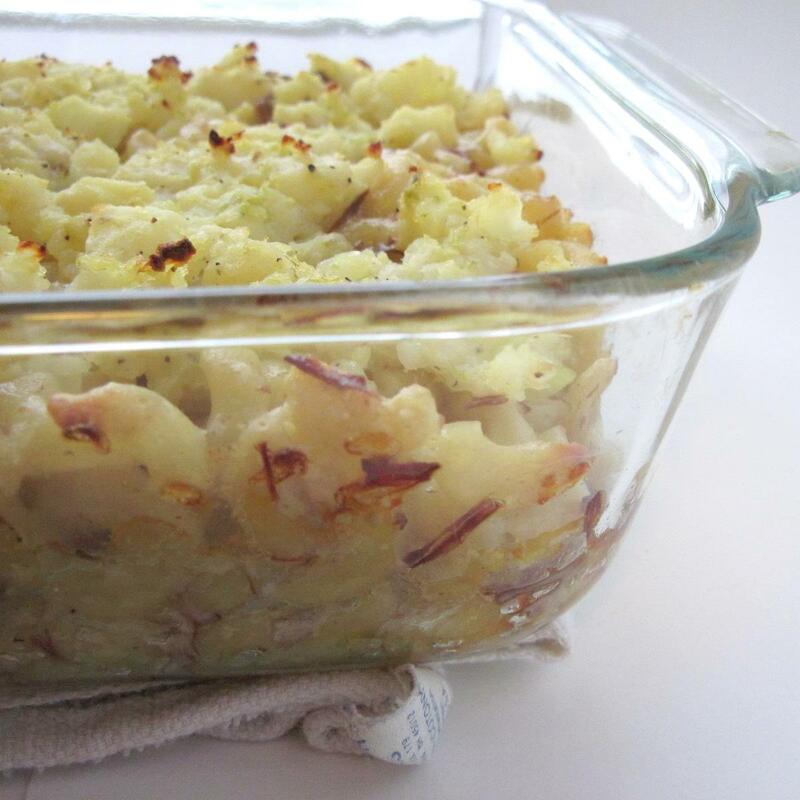 A Rachel is similar only instead of sauerkraut you put coleslaw on it and sometimes swap pastrami for the corned beef. Personally, I’m on the Rachel side, mostly because I’m not a big sauerkraut fan. I do, however, love coleslaw. So, as I have a want to do, I decided to make a pizza version. I figured I’d use the coleslaw and dressing as the “sauce” part of the pizza. Seemed fitting plus I thought this might help the slaw from getting too soft. 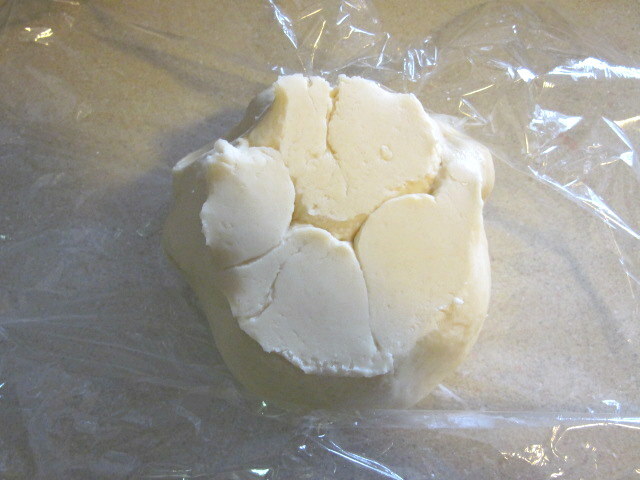 Then some Swiss cheese, I decided to skip mozzarella since Swiss melts fine and has more flavor anyway. 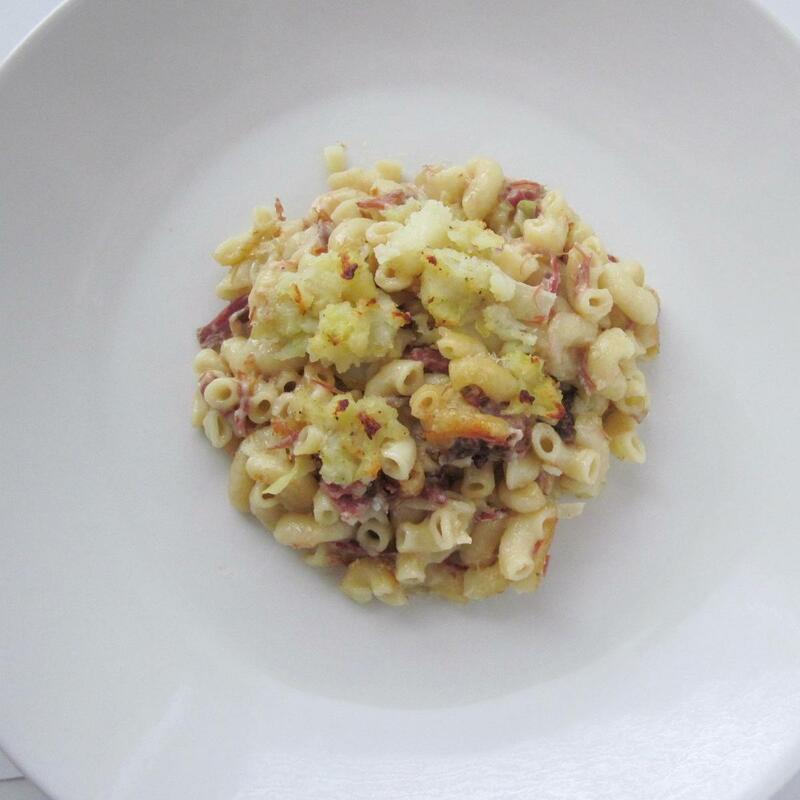 You could also do pastrami of course, it’s also really good on pizza. But I had corned beef, so. But how was it? Well, you know I like to be honest, I’ve admitted recipe failures in the past. Which is why I’m glad this was so fricking awesome. 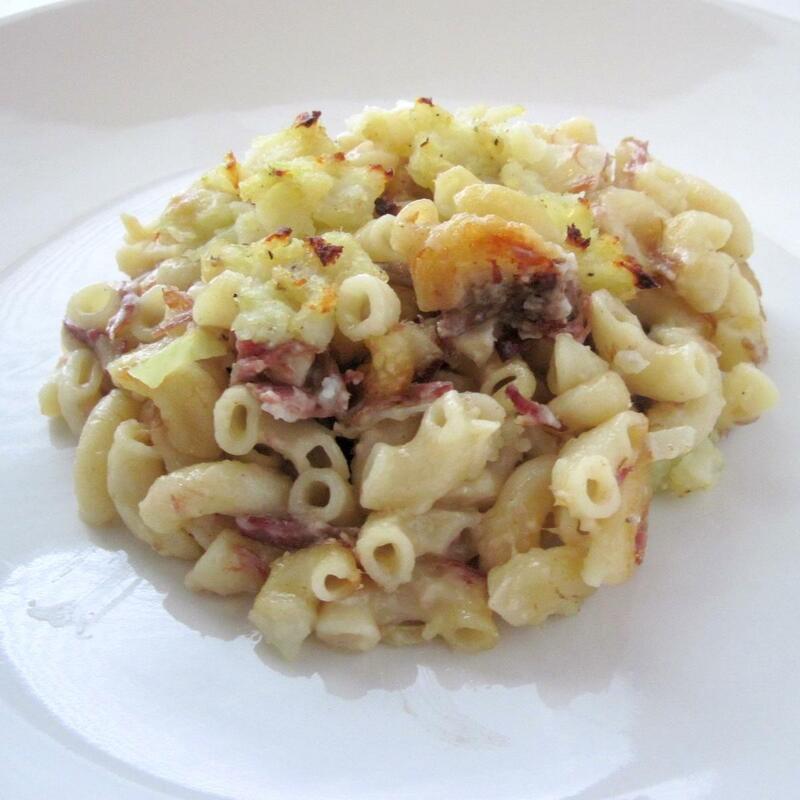 The coleslaw didn’t get too soft, the corned beef didn’t get dry and Swiss is a great melting cheese. And if anyone sells the idea I expect a cut. Now, if I were going to pair a wine with this I would suggest beer. Because it’s pizza. I mean, really.